You may wonder why some people choose to downsize and live in a smaller home instead of opting for a more spacious and luxurious one. Downsizing your home can create both advantages and disadvantages, of course, but there are actually a lot of benefits to downsizing your home, most of which are financial. Less spending on home decoration. If you have a smaller space inside your house, then there will be fewer areas to fill. That means more savings when it comes to home decorating. You will not be as easily enticed to buy a new table or a new cabinet to fill an empty corner. Smaller mortgage payment. When you compare the monthly mortgage payment of a big house and a small one, the difference can be staggering. The difference between two mortgage payments can also make a significant impact on your savings. 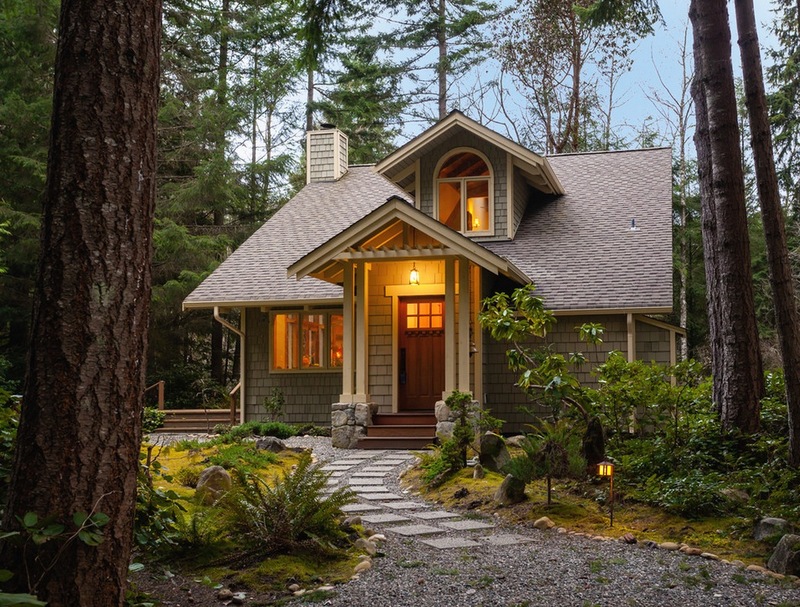 Smaller houses usually equate to smaller mortgage payments, which means more money for you to put toward your savings, paying off other debt, or treating your family to a nice vacation. A cozier environment. When you have a bigger house, you can sometimes lose the sense of coziness, especially if there are not enough people to fill the house. When a house is too big for a family, it can be easy to feel exposed and not as comfortable as you might expect. Less maintenance. A smaller home is easier to maintain since there are fewer spaces to clean. Plus, the extra time you save by cleaning a smaller space can be used to spend on your family or your favorite pastime. Energy savings. The extreme hot and cold months require using more of your air conditioning unit or heater. If you have a larger home, your heating and cooling systems will have to work harder in order to heat or cool the entire house. That means more energy usage, which consequently increases your bill. No empty rooms. Your house will not feel empty because each room will be fully utilized, rather than sitting there waiting for guests or storage. A simple and stress-free life. 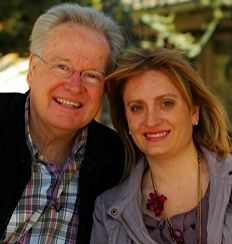 When you have fewer obligations and financial responsibilities, you have more freedom to enjoy your life without worry. Simplifying works wonders for mental and emotional health. Public parks offer many benefits to a community. They add a natural beauty to a city and make it more attractive. Residents and tourists love to visit parks in order to commune with nature and enjoy the beautiful day. Parks are also great venues for outdoor public events, such as concerts, picnics, and festivals. Oklahoma City is planning to add another beautiful park to the area. The new park will be divided into two parts: the upper part will be located from Southwest 3rd Street to Interstate 40, and the lower part will be from Interstate 40 to the Oklahoma River. The entire park will be 70 acres and will cost $80 million. The new park is part of the MAPS 3 project and will be another beautiful way to connect downtown to the Oklahoma River. Features of the park will include walking trails, a children’s play area, and a lake that will allow paddle boats. 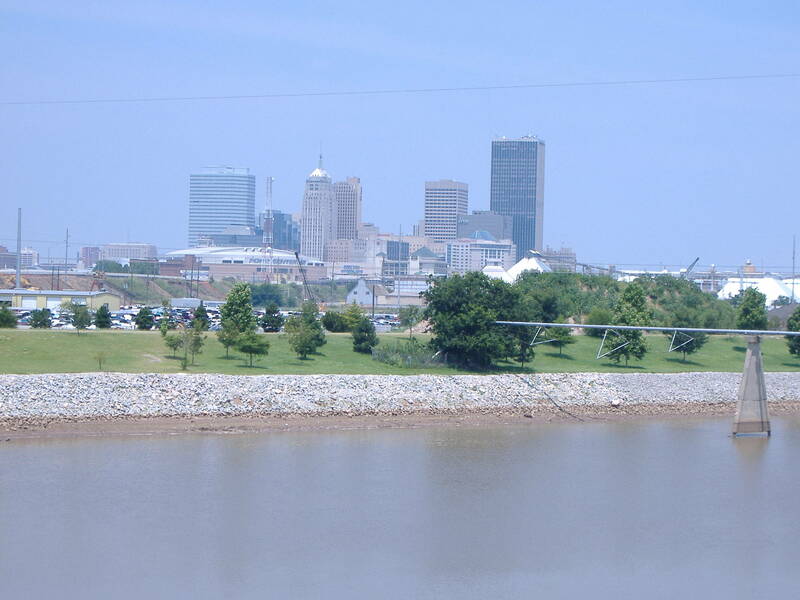 From the Oklahoma River, there will be a trail system going leading to Lake Overholser. A bridge will also be constructed to provide easy access from downtown to the river. Hardwood floors are a beauty to behold, and their natural facade adds a special appeal and warmth to any room. Though hardwood floors are a lovely addition to your home, proper maintenance is required to keep them looking beautiful and intact. After a while hardwood floors begin to lose their luster and may not provide the same aesthetic benefits as they once did. When your hardwood floors lose their luster, it may be a sign of damage or it may just be that they have been subject to a lot of wear and tear. There are two ways you can revive the look of the hardwood floors in your home. Some homeowners simply refinish their floors in hopes of bringing back its newer, fresher look. But, for others, replacing the floor entirely may be a better idea. 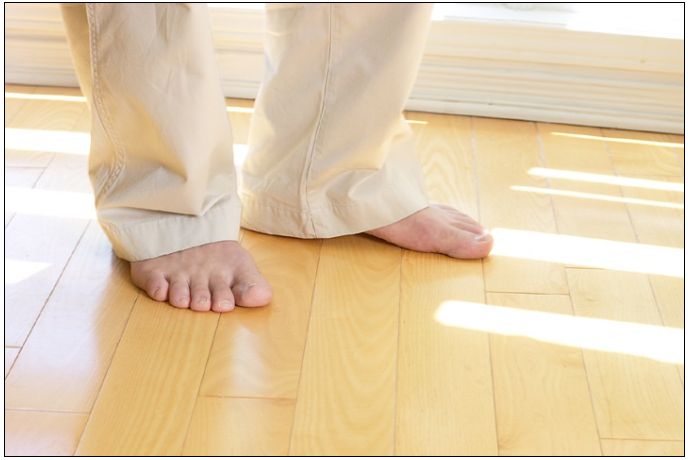 So, how do you know if you need to replace your hardwood floors or simply refinish them? One consideration you need to take into account is the extent of the damage. Do your floors have major damage such as warping or broken panels? If it does, then, you may need to replace your flooring materials, in order to fix the damage. You can either replace the entire floor or find similar materials that match your existing hardwood floors and fix only the damaged areas. Another factor is your budget. Replacing your hardwood floors can be very costly because it requires buying more materials and completely pulling up our existing floors, prepping the area, and laying down new materials. It is good to replace your floors if they have a lot of major damage, but if your budget doesn’t allow for it, stick to simply refinishing them, which will address at least part of the issue. Lastly, you need to consider the amount of time it will take to complete your project. Replacing your hardwood floors will take a lot more time than refinishing them. You need to remove the old materials, prepare your floor, and install new ones. On top of that, you must then finish your floors and allow them to dry. The process will take days to finish, so if you don’t have the luxury of that much available time, reconsider your options. Keeping your hardwood floors beautiful and free from damage will help you maintain a striking appeal to your home. In order to avoid major repairs and refinishing, regularly maintain your floors and take good care of them, and they will maintain their beautiful finish for a much longer period of time. A garden with colorful flowers and lovely landscaping is complete once birds come to visit and add life to the area. Bird lovers and watchers love having birds in their gardens, especially if there are different kinds of species and colors flying around and perching on branches. It is a beauty to behold, not to mention a relaxing addition to your garden. Plant flowers and trees that birds will love. There are certain native flowering plants that will be naturally appealing to regional birds. 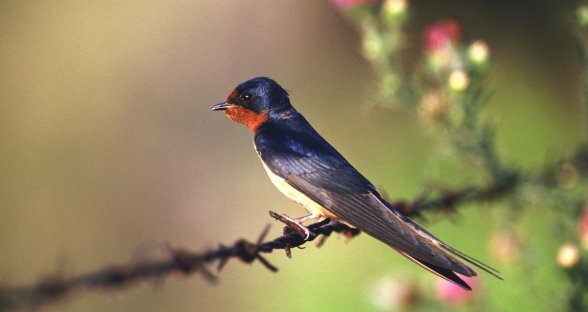 Some birds love to drink the nectar of selected plants, while others find them to be the perfect place to build a nest. Plant them in the center of your garden to create a “bird bush” where birds can flock. Add a bird bath. Birds love to drink water and bathe, especially during the hot days of summer. Add a well-designed bird bath that will not only attract birds, but will also leave a beautiful, lasting impression in your garden. Keep threats away. If you have a pet cat, keep it indoors so birds can freely roam around your garden without being attacked. Offer food. Even in parks, birds will come to you if you have food set out for them. Install a bird feeder, so birds can freely come and go to feed themselves. Give them shelter or materials to build their nest. Birds build their nests to lay their eggs and keep them warm and safe. Give them a good place to secure their nest or provide some materials to help them build one. A birdhouse is one way to add décor to your garden while providing shelter for birds. Avoid using pesticides in your garden. Pesticides can easily harm the birds you are trying to attract and will deter them. Use natural materials when it comes to your garden. Proper immunization is important for helping protect a child from possible diseases. 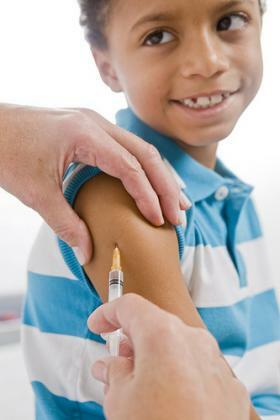 Doses of immunization can shield your child from measles, the flu, polio, and tetanus. It is important for kids to complete their immunization process, so their body can build up strength against the different activities, people, and changes in the environment that it will encounter. The Oklahoma State Department of Health and Oklahoma schools require students to be immunized with several vaccines before the new 2013-2014 school year begins. Parents are encouraged to check their children’s shot records for missing vaccines, so they can bring everything up to date before school begins. Kindergarteners are required to have a second dose of MMR, fourth dose of polio, fifth dose of DTaP, and second dose of Varicella. Seventh graders are required to have TDaP booster. Preteens and teens can also get the HPV vaccine and the MCV4 vaccine. The Oklahoma Caring Van Program, along with the Oklahoma City-County Health Department, is providing access to vaccinations for children, especially those who are Medicaid eligible, uninsured, and Native American. Shots are given on a weekly schedule, starting today, Friday, through next Friday. Parents who want to have their kids vaccinated will need to bring their current shot records. There is no need to schedule appointments. Electrical fire is a common occurrence during the hot summer months because many homes utilize more energy, especially when it comes to cooling their homes. Air conditioning added to the use of electric fans, televisions, computers, and other entertainment devices used by kids while they’re out of school starts to add up from an electric usage perspective. Have your electrical wiring checked. It is recommended to have your home checked by an electrician for faulty wires or other signs of electrical hazards. This way, if you find any faulty wires, they can be replaced before they have the chance to cause any damage. Avoid overloading your electrical sockets. There are so many things to do at home that require plugging in. But, what you may fail to realize is that using an electrical fan while charging your phone, while working on your computer, while watching TV can overload your circuits and cause a potential fire or shocks. Plug into different outlets if you need to plug in more devices. Otherwise, let the others wait. Listen to your appliances. Are there times that you feel a slight shock from your appliance? Is the fuse broken? If there are signs of abnormalities in your appliance, do not hesitate to have it checked. These are signs that there is something wrong with it. Manage your electrical cords safely. 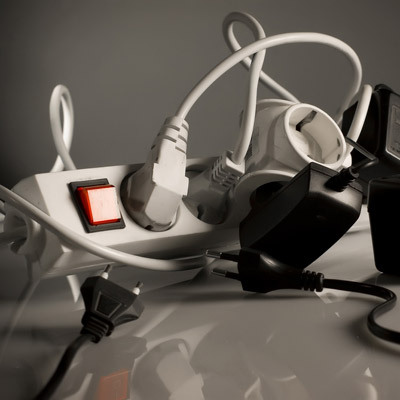 There are times when your electrical cords may become pinched between furniture or get tacked down. If this happens, the insulation within the wiring can easily become damaged, and the added pressure can compress the conducting wire. Use outlet covers. If you have kids at home, it is recommended to install covers on your outlets. This will discourage them from putting their hands inside the outlet and risk getting shocked. Summer is the time of year when kids are out of school, families go on vacation to other places or to visit relatives, or people simply stay put and enjoy free time in the comforts of their own home. Create a beach-themed interior. If you love going to the beach during the summer, why not make your dining room feel beachy as well and pretend you are on a vacation? 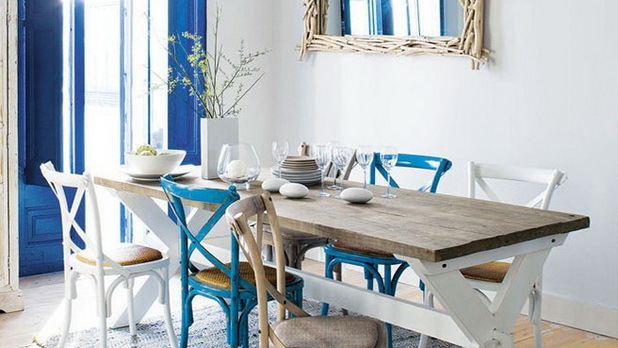 Create a beach-themed dining room by decorating the area in blue and white. Set the table with a lovely centerpiece of sand, rocks, shells, coral, and blue glass bottles. Hang pictures of the ocean and decorate with beach-inspired art and decor like anchors and beach mats. Freshen up your dining table with red and yellow. Warmer, brighter colors are great for depicting sunny, hot weather. You can start with yellow and red seat cushions. Then, add an attractive centerpiece vase full of blooming flowers from your garden. Complete the look with yellow or red dinner wear and linens. Go natural and bare. Make your dining room simple, yet elegant and ready for the hot weather. Remove heavy table cloths and replace them with either sheer covers, table runners, or nothing at all. Go bare on your table chairs and remove cushions as well. Add only a simple centerpiece to the table, so you maintain an open, clean look. Make the room more airy. Open the windows and room dividers and make your dining room breezy and inviting. Add light and white window treatments to let the fresh air of summer in.